Vietnam looks to the sea for livelihoods and economic growth. 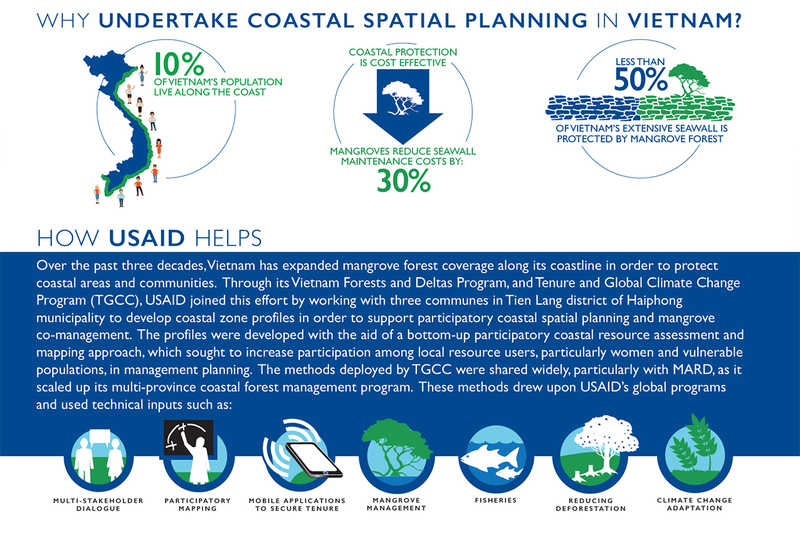 With 9 million people living in coastal areas, many of which rely on the protection of seawall systems and mangrove forest, Vietnam has a high degree of vulnerability to coastal erosion, storm surge, and sea level rise. In this coastal landscape, there is a complex mix of uses from gleaning a variety of aquatic resources, to small-scale fisheries, to aquaculture, and clam farming. At times, there can be conflicts between these differing uses. 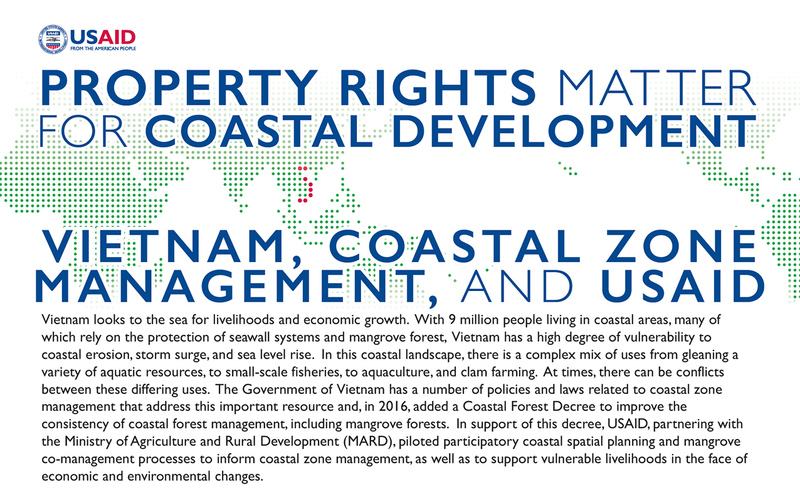 The Government of Vietnam has a number of policies and laws related to coastal zone management that address this important resource and, in 2016, added a Coastal Forest Decree to improve the consistency of coastal forest management, including mangrove forests. 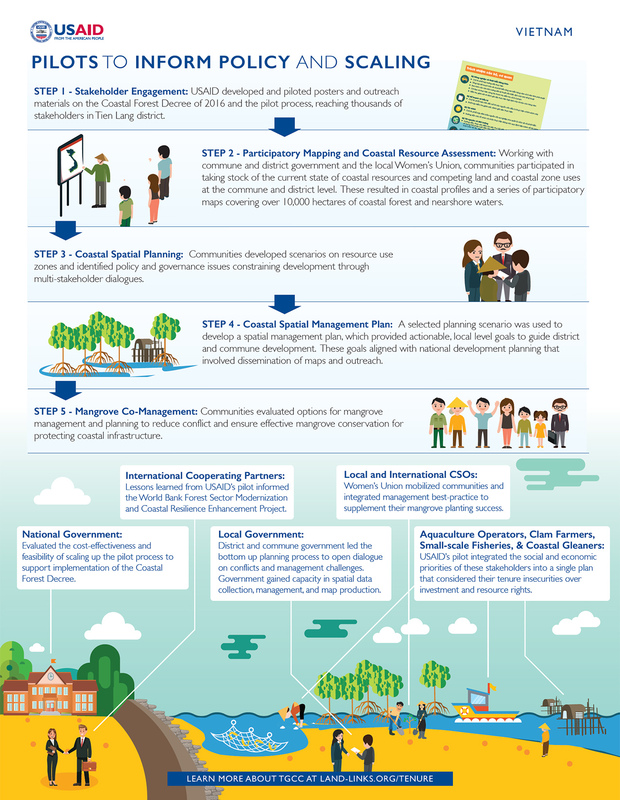 In support of this decree, USAID, partnering with the Ministry of Agriculture and Rural Development (MARD), piloted participatory coastal spatial planning and mangrove co-management processes to inform coastal zone management, as well as to support vulnerable livelihoods in the face of economic and environmental changes.